Meet & greet service for private transport between Faro Airport and your final destination in the Algarve. Exclusive arrival & departure airport transfers on quality taxis, minibuses and coaches with friendly drivers at the best prices. Easy online booking with immediate confirmation and no sign-in required. 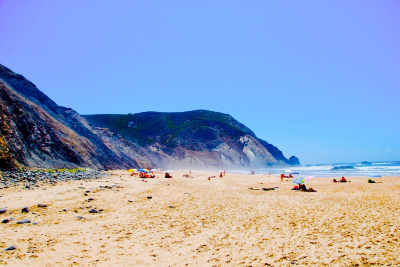 Welcome to the Algarve, where to? 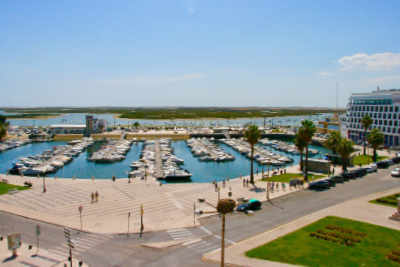 Travelling to the Algarve soon and arriving at Faro airport? 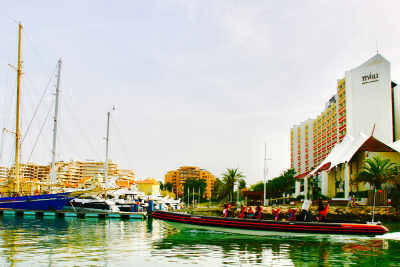 Looking for transport to your final holiday destination? Forget struggling with luggage while waiting for a public taxi, bus or shared shuttle. Faro airport provides private taxis for a faster, more comfortable and yet affordable transfer service to and from any address in the Algarve - see all destinations & prices. Meet & greet service by professional, polite drivers and a vehicle fleet to cater for all group sizes of passengers and luggage requirements. 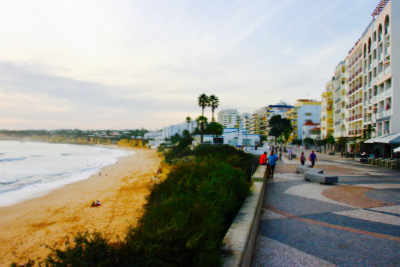 Nearly 90% of passengers landing at Faro airport are bound to Albufeira, Vilamoura, Lagos or to one of the following Algarve popular destinations. From those passengers, almost 100% prefer to pre-book a private taxi for their arrival and departure airport transfers. 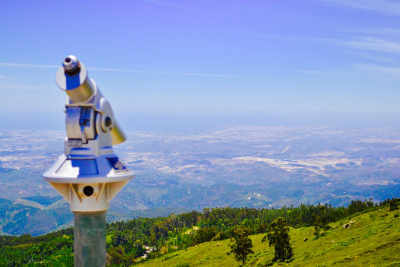 Private taxi prices with fixed fares and all inclusive rates. Values per transfer, not per passenger. 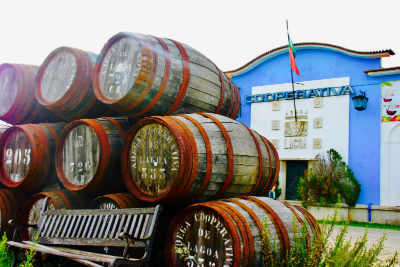 Travelling to or from Spain? 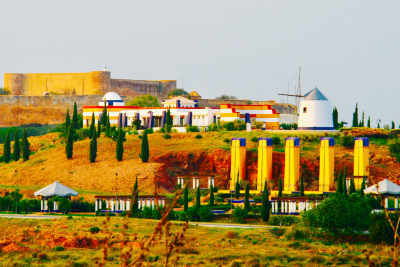 Faro Airport in Portugal also serves as an alternative to Seville and Malaga Spanish airports. 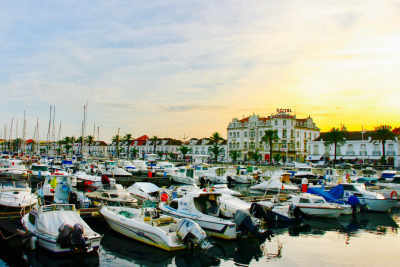 If you are going to or coming from Southern Spain and are not willing to spend too much time looking for bus and train connections to Spain, you can count on our much faster private taxis for Faro airport transfers to Andalusia destinations near the Portuguese border and also to the British territory of Gibraltar. 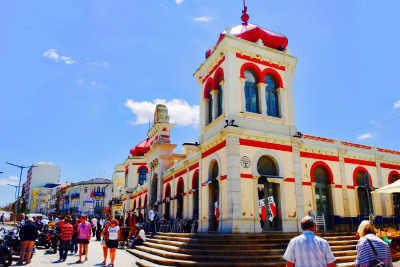 The most frequent transfer requests to Spain are for destinations in the Huelva province such as Ayamonte, Isla Canela, Isla Cristina, Islantilla and Cartaya. Modern and comfortable vehicles of different sizes for your airport transfers. Private taxis approved by Faro airport authorities and the Algarve board of tourism to meet all the safety and service level requirements. Great value for money option for those arriving and departing from Faro airport. Quality ground transportation for small and large groups of passengers travelling together, capable of dealing with non-standard luggage items such as bicycles, surfboards and golf bags. Faro airport transfers to any hotel, resort, holiday villa, lodging or given address in the entire Algarve region. Private transport with cheaper prices than the traditional public taxis and faster, more comfortable than a public bus or a shared shuttle service. 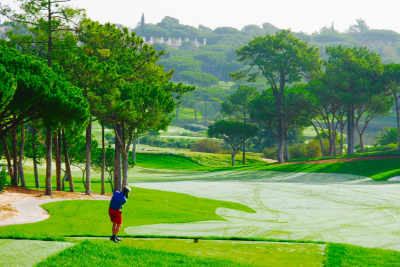 Geographically, the Algarve is divided into two major areas: Western Algarve - Barlavento and Eastern Algarve - Sotavento. 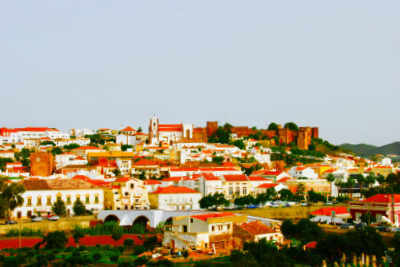 Both contain 8 municipalities or administrative sections - 16 in total across the Algarve. Algarve map with the location of Faro airport and the 16 municipalities or counties - 8 in the west (W) and 8 in the east (E). Algarve distances: Either to the east and to the west, all the major holiday destinations are more than 10 Km from Faro airport. For this reason, planning your airport transfers before hand is crucial. 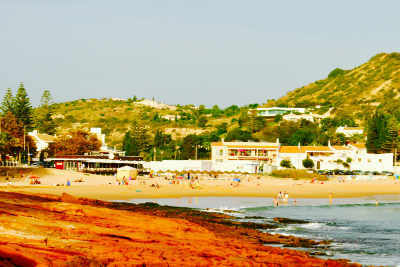 To give you a general idea, Albufeira (W1) dists around 46 Km from Faro airport. 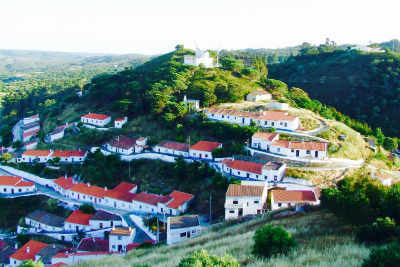 The westernmost town, Sagres in Vila do Bispo (W8), stays at approximately 120 Km from Faro airport. 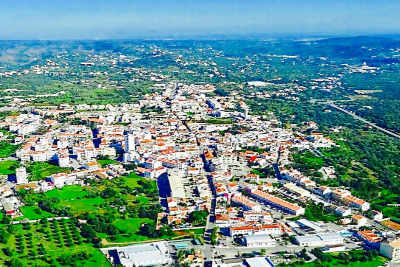 The easternmost town, Vila Real de Sto. 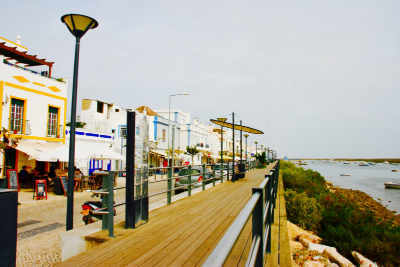 António, (E8) is located at approximately 70 Km from Faro airport. 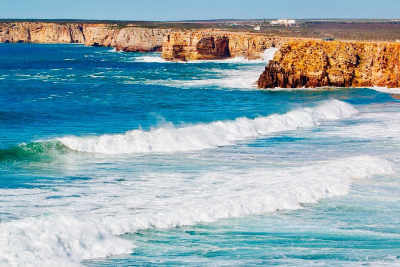 In total, the Algarve stretches around 160 Km in a straight line from east to west and varies between 30 to 40 Km from north to south, making an approximate area of 5 500 Km2. 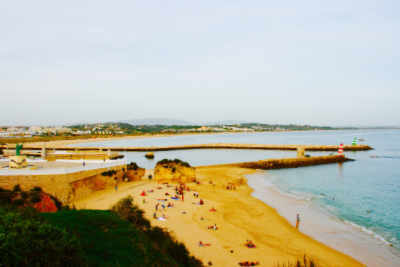 Prices to popular destinations in the Western Algarve with fixed fares and all inclusive rates. Values per transfer vehicle, not per passenger. 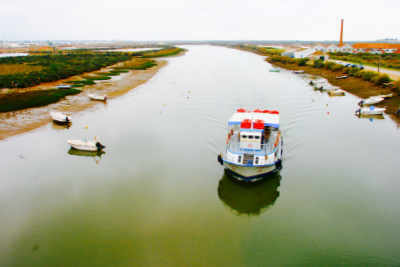 Prices to popular destinations in the Eastern Algarve with fixed fares and all inclusive rates. Values per transfer vehicle, not per passenger. 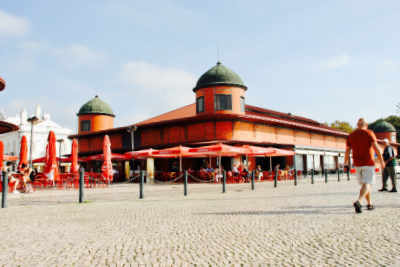 Faro airport taxis website provides an online booking system of private airport transfers targeted for the frequent and occasional traveller. It facilitates the process of arranging transportation between Faro airport and your holiday address in the Algarve, saving you time and ultimately money. All taxis must be pre-booked online prior to your arrival. The booking process is very straightforward, with simple, clear steps and all service details accurately explained as you advance. Easy, reliable with no hidden costs. Select your destination and total number of passengers. Confirm the location of your accommodation address and select it from the list of available transfer destinations. Specify the number of adults and children in your travel group and proceed. Pick a car to best fit your travel needs and budget. You'll be presented with a list of transfer vehicles and prices to choose from according to your destination and total number of passengers. Take into account your luggage volumes when selecting the vehicle. Fill in your flight details and choose payment method Insert your flight arrival / departure details, the exact address of your hotel, your name and contact information. You can then choose to pay online in advance or later to the driver on the transport day. Your taxi transfer will be confirmed immediately and a booking voucher sent to your email address in seconds. On the transport day just present your voucher to the driver standing by the arrivals hall holding a sign with your name, right after you leave the baggage claim area. Our driver will be very pleased to welcome and assist you with luggage while accompanying you to the transfer vehicle outside the terminal. In no time you'll be on the way to your holiday destination in the Algarve - hassle free! Faro airport is a relatively small airport and the process is very straightforward. As you leave the baggage claim area our driver will be standing by holding a sign with your name. If by any chance you don't find the driver, you can always reach us by using the contact numbers present in your booking voucher. We will assist you from there. Tip: all our drivers wear a blue shirt. For your peace of mind we accept almost any type and quantity of luggage for free, including golf bags - only limited to the vehicle capacity. There is a specific step during the booking process where you can provide us with information on any non-standard luggage you will bring, just so we can be prepared. Such items include all sports equipment, pushchairs, wheelchairs, pets or other out of format luggage. Do not worry. There's no need to warn us about possible delays as our drivers always monitor flights status and are constantly adjusting their scheduled services accordingly. They will still meet and greet you at the terminal if your flight exceeds the initial estimated arrival time. No extra charge is applied for the taxi waiting time resulting from flight delays. 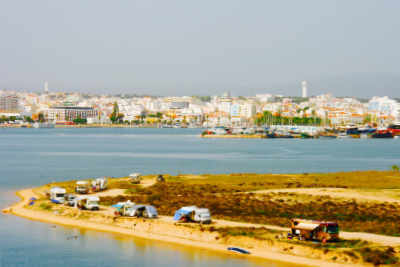 The Algarve is crossed from east to west by the paid A22 express motorway, also known as Via do Infante, with Faro airport located more or less in the middle. The other road crossing the Algarve is the free but overall slower N-125. For those destinations where the use of the motorway is justifiable, our booking system allows the client to decide whether or not he wants the taxi to use the fastest route. If so, the correspondent toll amount is shown and added to the final price. With our service there are no surprises and you always get what you pay for. Unlike public taxis where you only have two options - sedans up to 4 and vans up to 8 passengers, our private taxi service operates a broader range of vehicles suitable for all group sizes and luggage requirements. Apart from the standard sized taxis we also provide several large vehicles such as mini-buses and coaches to enable groups over 8 passengers to travel together on the same taxi, thus resulting in a more cost-effective transfer option. We provide baby seats and booster seats pre-installed in our vehicles upon request and free of charge. The Portuguese law requires that children under 12 years old and less than 1,50 m tall must be carried on appropriate safety seats. If applicable to your case, you must provide us with the number of children in the travel group and select the appropriate safety seats during the booking process. Our private taxi service is available all year long for 24 hours, 7 days a week. We apply the same prices on weekdays, weekends and holidays. We also do not charge any extra fees for early or late flight arrivals and departures. 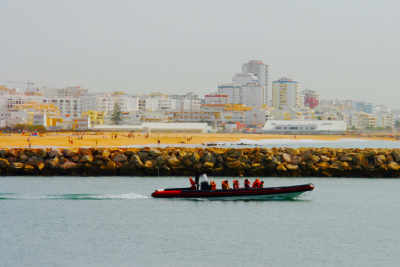 We work around the clock and our taxi transfers between Faro airport are always adjusted to our clients flight schedule. Our online booking system only accepts automatic reservations at least with 8 hours in advance prior to your flight arrival. If you are arriving in less than 8 hours from now, you must send us a direct email with your flight details and your destination address. We have staff ready 24/7 to attend your last minute requests. We transport passengers with reduced mobility in our taxis, provided that they are capable of boarding the vehicle independently or with the help of others in the travel group and also that they use a wheelchair of the folding type only. Passengers totally dependant on the wheelchair must travel in special adapted vehicles which can be provided if you contact us directly in advance. Sometimes it might be useful to stop by the supermarket first. Or perhaps you will need to grab the accommodation keys at a far reception first. And maybe your travel group is staying in different houses in the same area. To cater for these and other scenarios we allow for extra stops in the taxi route between Faro airport and your holiday address. An extra charge may be applied and if so you will be informed of the respective amount during the booking process. We are flexible. You can choose to pay online in advance the total amount with a credit / debit card or a PayPal account, or pay directly in cash to the driver on the service day. Either way your taxi booking confirmation is immediate. For unexpected situations, you can change or cancel your private taxi with no extra cost at any time and as many times you need. Use the provided links in the voucher sent to your email. All the process is automatic and any modifications you make will take effect immediately. For every change you submit you will automatically receive a new email with the updated information. Refunds: any due refunds resulting from changes or cancellation are processed automatically within a maximum period of 2 weeks. To help you decide which will be the best transport option to your final address, the following comparison table between private and public taxis gives you an overview of what to expect when you arrive at Faro airport. Overall, the pre-booked private taxi service provides a more personalised, hassle free and yet cheaper option for your arrival and departure airport transfers when compared to regular public taxis. It also frees you from waiting times and from the uncertainty of the final amount to pay. Knowing total price beforehand Yes, cost is fixed No, price is estimated as it varies with traffic conditions and route choice. Most of the answers to your questions can be found in the sections sections how it works and service details. 24h contact numbers are present in the booking voucher sent to your email. Please use our booking engine with instant confirmation. Please fill the contact form and we'll get back to you as soon as possible. Present in your booking voucher.